Congratulations on being the proud owner of a new puppy! Welcoming a new puppy into your home is a wonderful experience. The special, close bond that you form with your puppy now will last for a lifetime. 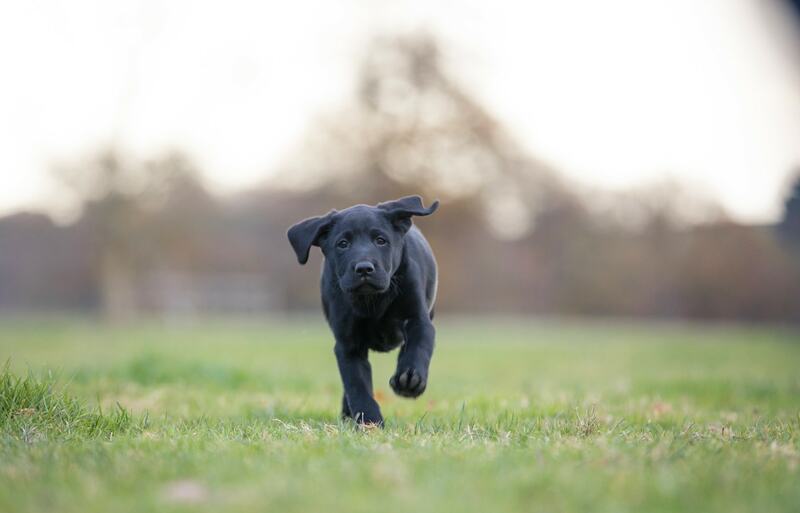 Of course, you'll train your puppy in the right behaviours, but before all of that it's important for the puppy to feel loved, safe and secure in its new home and with the people who are going to form its new family. Bring your new puppy home when it's quiet and you don’t have company. Also, choose a time when your routine is normal. In their first week at home you are beginning to teach your puppy who their family are, and teaching them to trust you. Provide your puppy with a crate and some space of their own. This will help them to feel safe and they will gradually explore the rest of their new surroundings. Supervise your new puppy at all times, and play with them several times a day. You'll help establish yourself as the pack leader. Give your puppy bathroom breaks every few hours and right after eating, drinking, sleeping and playing (watch for signals like sniffing and circling). Never punish your new puppy for accidents; instead, praise them when they go in their allocated outdoor spot. Like human children, puppies are not born with the social skills that they need to live with their family, be that a canine family or a human one. Therefore you need to make sure your puppy is not only obedient, but also friendly to all kinds of people and animals. Here are a few suggestions to help get you started. The world is full of different types of individuals, so it is essential that your puppy can relate to others. You can reward your canine companion with treats when they demonstrate desired behaviour. Begin by introducing your puppy to quiet friends in your home for short periods of time. When greeting your puppy, have guests crouch down low and allow your puppy to approach them in their own time. This will give your puppy a greater sense of control. Once your puppy masters "home" visits, try taking them to the park or dog run. Let them decide who to meet and for how long. You never want to force your pet into a situation where they are fearful (of course, make sure the person they approach wants to be greeted; some people are afraid of dogs — even puppies). Introduce your puppy to people of different races, ethnic backgrounds, looks (with/without a beard or glasses), ages and professions as some dogs might develop an aversion to people who don't look like you and thus seem "unusual" to them (the postman will thank you later). You should have no trouble at all encouraging your children to play with your new puppy. Still, you'll want to supervise their first interactions with your kids. Even if you don't have kids in your family, it is imperative to socialise puppies with them. If dogs don't interact with children early in life, they often develop aggressive behaviour towards them later. Small children who race around and make high-pitched noises can trigger prey instincts in dogs that are not used to them. Children should be taught that the puppy is not a toy or doll, and should not be disturbed when resting or sleeping. No rough teasing or playing. Tail-pulling and teasing can lead to bad habits like jumping up or even biting. Be gentle. Tell children never to shout at the new puppy, even if he does something wrong. Explain that dogs can be startled by loud noises. Even puppies who consider themselves to be nearly human will have to learn to get along in the canine community. At the very minimum, you'll come across another dog during your daily walks. Allow friendly sniffing and some play, but back off if your puppy seems intimidated. Your new puppy and your Siamese cat might never be best friends but you can at least encourage them to tolerate one another. Begin by keeping the newcomer in a crate and allowing the resident pet to "visit" them through the safety of the bars. Gradually extend the length of visits before allowing the two to meet face-to-face. Supervise these meetings until you feel confident all will go well. Please note that no matter how well-behaved and well-socialised your puppy is they will likely still try to chase animals as they will want to play. You can slowly allow your puppy to sniff smaller pets such as hamsters, rabbits or guinea pigs whilst they are still in their hutches so that they feel safe at all times. Anything that makes loud noise, like the vacuum cleaner, car or washing machine, can be a terrifying thing for a young puppy. To avoid frightening them introduce your puppy gradually to new experiences. Let them check out the silenced item on their own. Then, place them a safe distance away before turning it on for a moment or two so they can hear the sound it makes. After turning it off, stand by the object and call your puppy to you. Reward them. Repeat this lesson, extending the amount of time the sound is running. Finally, call them to you while the noise is actually going. They'll eventually see that noisy household objects are no big problem. Join a puppy training class to help with further training, and give you support and advice with any problems. Be empathetic. Puppies who suffer from separation anxiety are not misbehaving or being spiteful. Never punish or isolate them. Give your puppy a safe place. Dog crates or cages are great for giving your puppy a place in your home where they are comfy and safe. Make sure your puppy has had plenty of exercise. If they’re tired they are more likely to sleep and not worry about where you are. Redirect their behaviour. Hide a treat for your puppy to find before departing or give them a toy before you leave (this must be done at other times as well to avoid the toy or treat becoming a departure cue). Keep your departures and arrivals low-key. Try ignoring them for 10-15 minutes before you depart, if your voice and body language say "this is no big deal", they might start to believe you. Teach them to tolerate your comings and goings. Give them a treat, and then leave the house for a minute or two. They will begin associating your departures and good behaviour with receiving a reward. Gradually prolong the amount of time you're gone until they are able to cope better.